Hi babes! 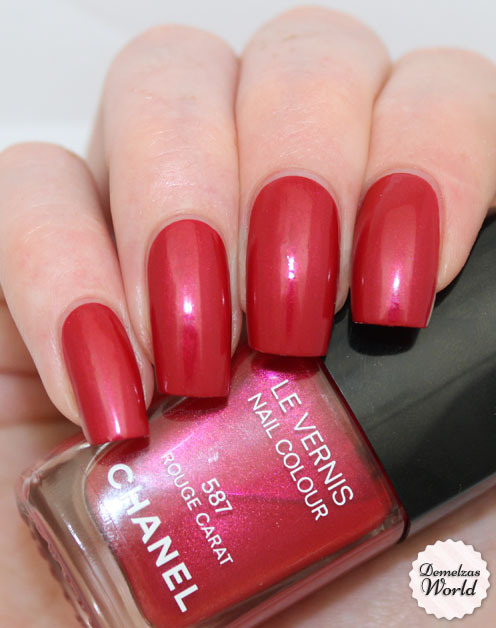 Today I’m wearing a polish from the Chanel Christmas (yeah really, lol!) collection from 2011. 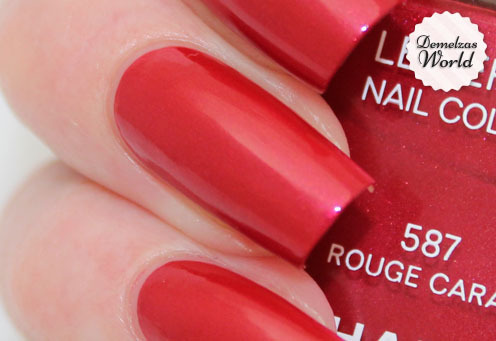 I love this polish and also think it’s not just a polish for Christmas because it’s such a bright red polish. I just love this color, I can wear this every day of the year. The application is perfect, one coat for almost full coverage so I’ve used two thin layers. Just like most polishes from Chanel it does chip pretty fast. I really like Chanel polishes for the formula but I only buy them when I think the color is really unique because there are many polishes that don’t last that long on your nail, and since they are €21,- I don’t really think the price matches the quality. But … This is not for all polishes, there are some good ones that do last for a longer time! This polish already has some pretty bad chips after two days. 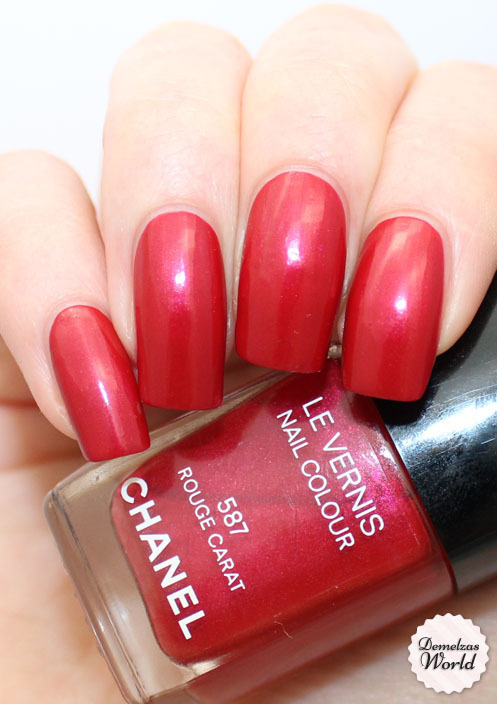 But still, the red color and shimmer are soooooo perfect, this polish is still in my top 5 favorite Chanel polishes no matter what happens! 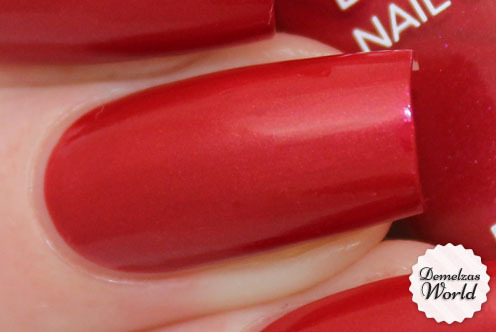 Too bad this polish was for the holidays of 2011 and is not available anymore 🙁 For this polish I can’t find any dupe in my nail polish collection, of course there are some red polishes that come really close but they aren’t like this one.